The Kogi State House of Assembly on Tuesday August 15 approved a loan of N1, 918,783,783.78 to finance the Kogi State Government 50% counterpart fund in respect of UBE projects in the State. Our Kogi State Correspondent reports that the approval is sequel to a letter sent to the House by the Governor of Kogi State, Alhaji Yahaya Bello. 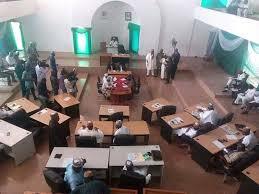 The letter which was read by the Speaker of Kogi State House of Assembly, Hon. Matthew Kolawole states inter-alia, “the Honourable House is therefore requested to issue resolution authorizing the receipt of N1, 918,783,783.78 from Zenith Bank to refinance outstanding current account obligation to Zenith”. Members in their various contributions admitted that the request needs an express approval, while considering the importance of education towards National development. The House also approved the engagement of four additional Special Advisers as requested by Governor Yahaya Bello. Governor Bello in his letter to the Assembly said this will increase the pool of qualified manpower available in his Office and also increase the number of Special Advisers from 21-25. He noted that his request is in the interest of fairness and proportional representation as well as to accommodate the special needs of larger Local Government Areas like Lokoja, Ankpa, Okene and Dekina whose interest are currently under-served by the rule of one Special Adviser per Local Government Area.